Naughty Dog have confirmed that Uncharted 4 will be delayed until Spring 2016. 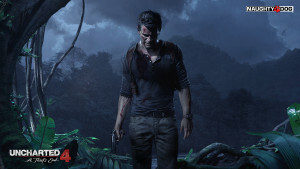 As production of the title has continued, Naughty Dog have decided that they will require more time to polish the title. Neil Druckmann has stated that the “game deserves every bit of the attention to detail, precise pacing, and nuanced storytelling Naughty Dog is known for” . Fortunately the delay is not as long as some would expect, however, this is the latest delay announcement for a console generation that has been plagued with delays. While it may seem disappointing, delays can benefit a title greatly. Had Driveclub been released at the PS4 launch, the title would have most likely been unplayable. Druckmann has also stated that they will be revealing more of Uncharted 4 over the coming months and describes the presumed final title in the series as a “thrilling, emotional ride”.